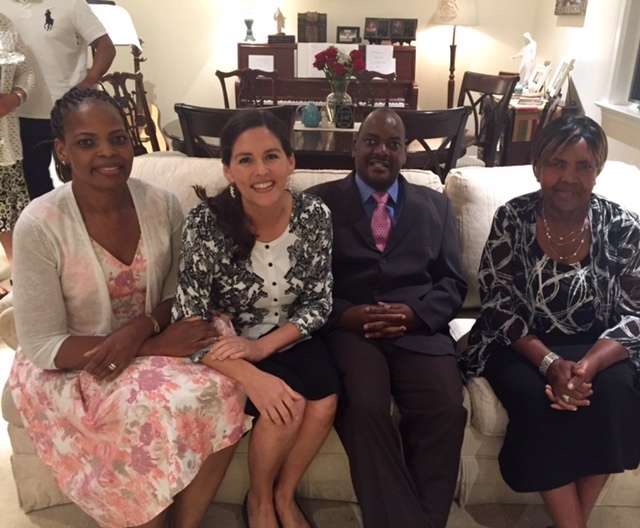 Sunday evening we had the privilege of having the Gumende family in our home. 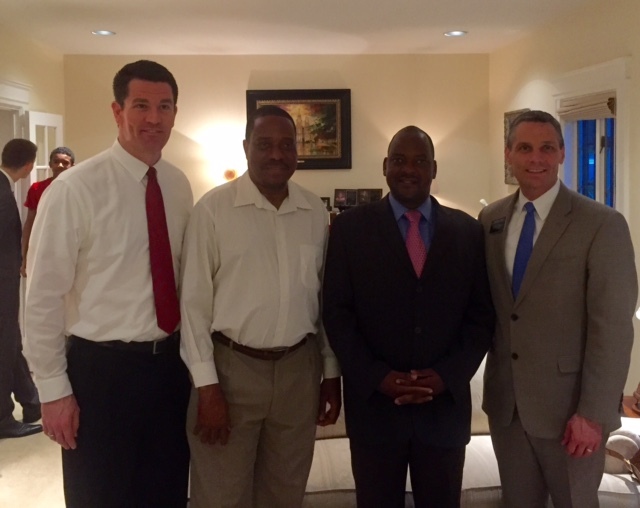 Antonio is the ambassador from Mozambique assigned to the UN. He and his wife Lisa have become dear friends of ours. 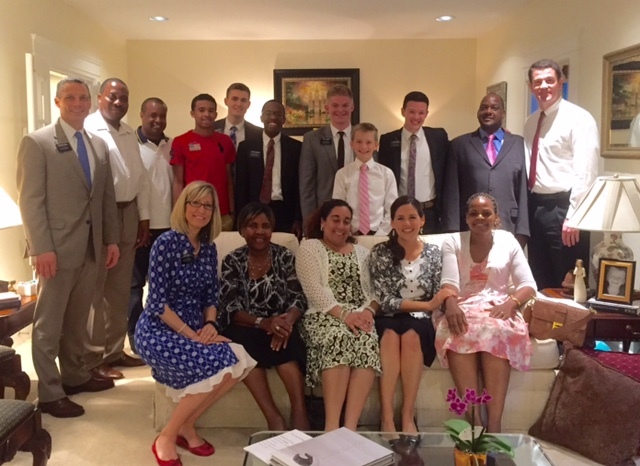 We were introduced to them by our Bishop and his wife, Todd and Lori Mortensen, who have fellowshipped with them and shared the gospel with their family. Lisa's brother, Simba, was attacked, beaten, and left for dead in his native country, Zimbabwe. This occurred 2 years ago. Since then Simba has had to relearn almost everything. When he was atacked Lisa reached out to Lori for comfort. Lori in turn reached out to the mission president in Zimbabwe and within a short period of time the missionaries were at the hospital. They were able to give Simba a blessing, which really touched his family. They have great faith. Simba and his mother came to the US to spend time with Lisa and her family in January and will soon return to Zimbabwe. During his time here he has met with the missionaries and developed a very close relationship with them. His knowledge and testimony of the gospel is growing. We had the privilege last night of hearing him tell his story and share his faith in God. He testified that God knows him and it was through his power that he was healed. 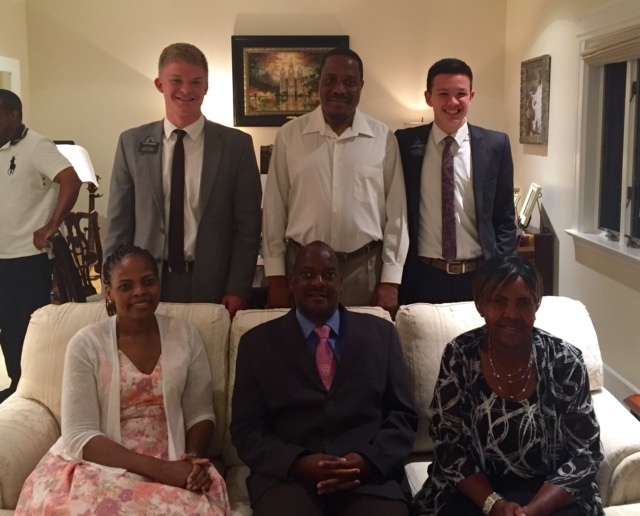 He shared scriptures from the Book of Mormon and the love he has for the Elders who have taught him. Antonio, Lisa, and their mother also shared their faith and testimony. It was powerful when they told how their family has grown closer through their adversity and that they know God loves them. During times of trial we can either turn to God or away from him. They chose to turn to him. I know for myself that turning to God in times of need is the only way to heal and to find peace. It was a sacred night and I was so touched to be there. We were also joined by Jeff and Rebecca Lanier and their son Jeffrey. The Laniers were baptized last summer and are preparing to be sealed in the Manhattan Temple this August.